I read small portions of this book, skimmed larger portions, and looked through the index to try and figure out if any portion of this book would be useful for the specific information I wanted out of it. But England doesn't actually show up in the index, and I am working on a project about fishing in early modern England, so basically this book provided a general world background, but virtually no immediately applicable information. One good reference I did find was that by the late 14th century prosperous Italian cities had begun overfishing their Mediterranean fishing grounds and begun importing fish from the North Atlantic and Baltic seas, which means they probably had some contact with English fishing fleets, which were beginning to expand their fishing ranges in the 15th century. However, the book doesn't specify that there was trade with English fishermen, though I know from other sources that by the 16th century English fishing in Newfoundland and elsewhere in the North Atlantic was bringing in substantial money from European trade. interesting, but a little dry. great old maps and illustrations however. John H. Parry - John Horace Parry, a historian of the seas and the men who sailed them for trade and conquest, died Wednesday of a heart attack at his home in Cambridge, Mass. He was 68 years old.Professor Parry came to this country from his native Britain in 1965 to join the history department of Harvard University as Gardiner Professor of Oceanic History and Affairs.He was the author of 10 books chronicling the era of seaborne discoverers and traders from the 15th through 18th centuries. At the time of his death, he was preparing a book on the times of Captain Cook.He was born April 26, 1914. He spent some student years at Harvard before earning his doctorate at Cambridge University in 1938. His academic career was interrupted by five years of service in the Royal Navy in World War II, and he was awarded the Order of the British Empire. Wrote on Spanish EmpireHis first book, ''The Spanish Theory of Empire,'' was published while he was on naval duty in 1940. Among his more recent volumes published in this country was ''The Spanish Seaborne Empire'' in 1966, relating the exploits of Cortes, Pizarro and other conquistadors. ''The barbarous courage and the brutal splendor of the conquest are not scanted by Mr. Parry,'' Charles Poore wrote, reviewing the book in The New York Times. ''But he also gives us much more precise knowledge about what went on from day to day, what people ate, how they established wages for slavery and or peonage, and so on, than we get from the pageantry school of historians. 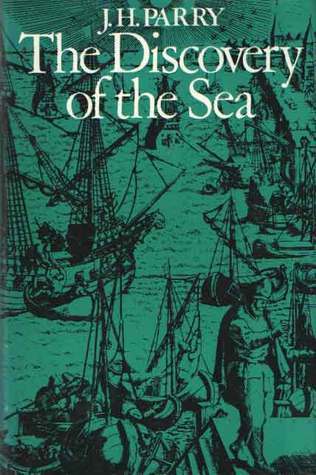 ''Professor Parry's later books included ''The Discovery of the Sea'' (1974) and ''The Discovery of South America'' (1979). After his naval service, he became a tutor and lecturer at Cambridge and then taught at University College of the West Indies. He was a visiting professor of history at Harvard in the mid-1950's before serving for four years as principal of University College in Ibadan, Nigeria.Before his 1965 return to Harvard, Professor Parry served at University College of Swansea, Wales, and as vice chancellor of the University of Wales.He is survived by his wife, the former Joyce Carter; a son, Michael, and three daughters, Joanna, Katherine and Elizabeth.